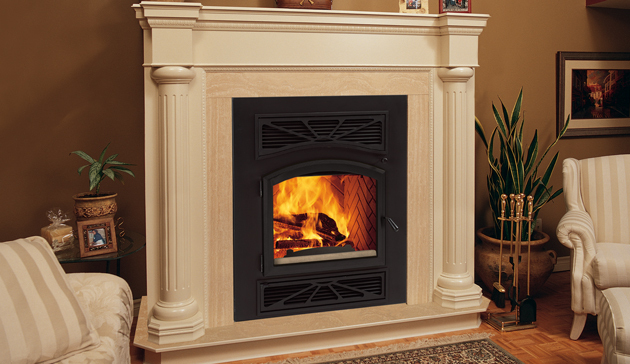 Elegant EPA II-certified and Washington State-approved fireplace with double air combustion features for customized home heating. BIS COLLECTIONEvery high-efficiency wood-burning fireplace from the BIS collection is EPA-certified, which means that you can count on dependable warmth with the added bonus of responsible burning. Learn more about the BIS Collection. 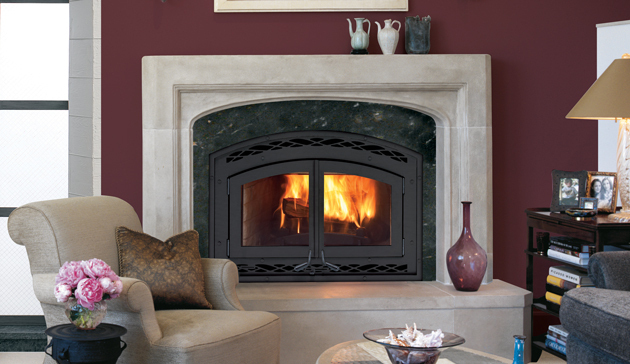 Impressive EPA Phase II-certified fireplace combines powerful catalytic heating with a sophisticated European-style cast-iron single door. 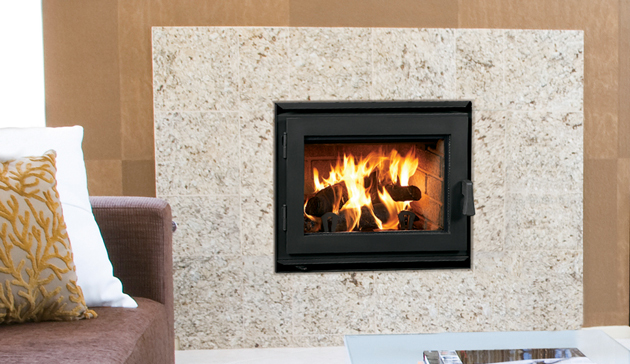 The Ladera combines advanced wood-burning technology and dramatic aesthetics. 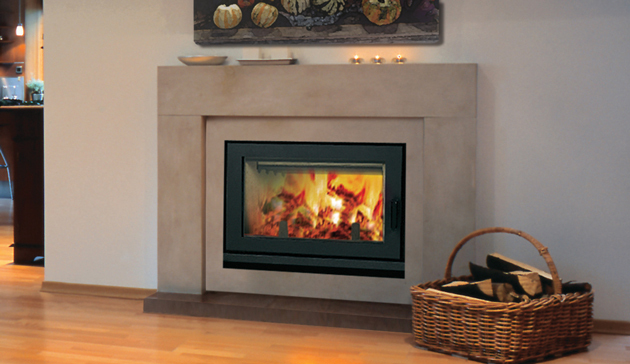 The Astria Ladera™ high-efficiency wood-burning fireplace is a contemporary marvel. Advanced features, like a Double-Air Combustion control, allows you to enjoy a continuous fire without the need for reignites and it helps optimize efficiency.A compact, yet open firebox accepts logs up to 18 inches for large flames, long burn times and additional warmth. 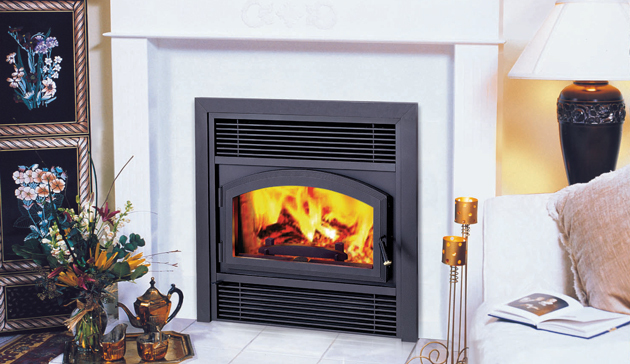 And with a clean-face design and expansive viewing area, the fireplace allows you to take pleasure in the modern beauty of an unobstructed fire with a true masonry feel.